A pioneering team of researchers is calling on members of the public to donate their old gaming consoles to help stroke patients in need with their rehabilitation. 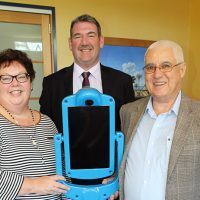 Neuroscience Research Australia (NeuRA) has launched a program, known as Wiicycling, to collect and provide second-hand Nitendo Wii consoles to stroke patients experiencing financial hardship, often the result of being unable to work until the patient recovers. 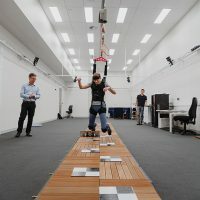 NeuRA neurophysiologist, Dr Penelope McNulty ,has developed a training program using Nintendo Wii which significantly improves how a stroke patient uses their limbs. “I’m hoping people will donate their old consoles and accessories, so stroke survivors that want to do this therapy but can’t afford a Wii, can begin the long road to recovery,” Dr McNulty said. Research shows the more a stroke patient trains, the more they improve even if their stroke was many years ago, she said. NeuRA has launched Wiicycling to coincide with the recent release of Nintendo’s latest offering, Wii U. The team wants to collect consoles and accessories so they can pass on complete kits to patients. However, they will accept whatever parts are offered. And the postage is on NeuRa. Specifically NeuRA needs the Wii console and Wii remote, cable, sensor bar, nunchuck and Wii Sports game pack. “There are over 60,000 strokes in Australia each year and there is a crucial need to improve rehabilitation methods because this is the only method known to restore movement in stroke-affected limbs,” Dr McNulty said. “The Wii is inexpensive, easy to use and, very importantly, fun. “This type of rehabilitation motivates participants to actually complete their therapy, which is essential for maximum recovery,” she said. If you’re interested in donating your old console, read the Wiicycling program’s FAQ page to get all the information you need. To send your old Wii console and accessories, contact Dr Penelope McNulty on 02 9399 1074, or stroke@neura.edu.au, to organise reply-paid postage to NeuRA’s laboratory.